The temps are getting warmer, sun shining brighter and its a great time to get running. If you are the trail type, here are some great options for you at Stone Mountain you should certainly consider! Stone Mountain Park is home to the well-known, 825 ft high extrusion of granite. In addition to an amusement park, a golf course, and a sky lift, the 3,200 acre park includes miles of trails that traverse some of the most beautiful landscapes in the perimeter. 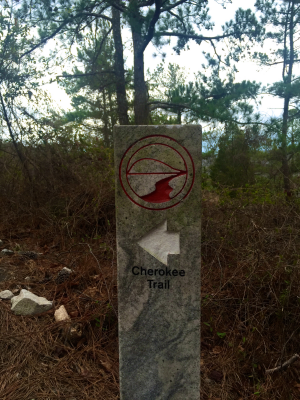 The main trail that circles the mountain, the Cherokee Trail, is five miles long. It crosses streams and railroad tracks, provides stunning lake views, and ambles over lichen and moss-covered granite It also provides access to the Quarry Exhibit and the Nature Trail. Getting there: Parking is available in the “Walk-Up Trail” parking lot and in the Confederate Hall lot. Begin walking up the mountain, and cross the railroad tracks. Immediately after crossing the railroad tracks, turn either left or right on the yellow-blazed trail. This is a connector to the white-blazed Cherokee Trail. This connector provides the easiest access to the Cherokee Trail. 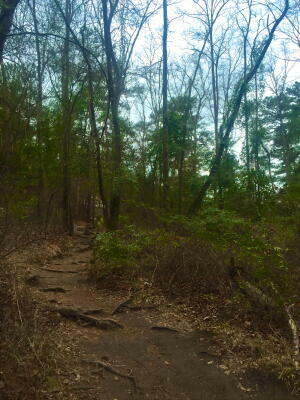 Notes: The Cherokee Trail wraps around the base of the mountain. Certain areas of the trail are on a steep incline. Do not be afraid to walk these portions. Furthermore, due to muscle wear, consider alternating the direction in which you run the trail. This will allow you to work your muscles evenly. 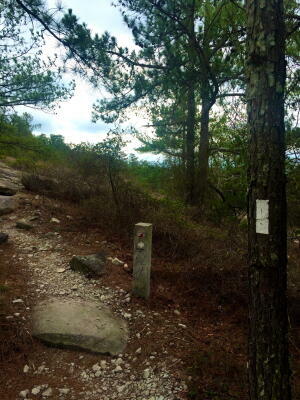 Getting there: A marked provides direct access to the trail from Stone Mountain Drive. Notes: Connects to the Cherokee Trail. Getting there: Upon entering the park, turn left on Jefferson Davis Drive. A marked parking lot is provided. Getting there: There is a “Walk-Up Trail” parking lot across the street from a gravel trail. Parking and restrooms also are available next to Confederate Hall. 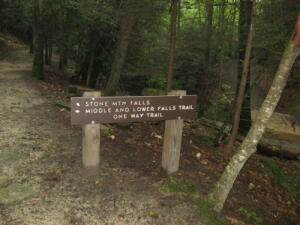 This provides access to the granite trail. 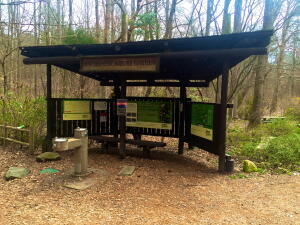 A smartphone app provides maps and park information.